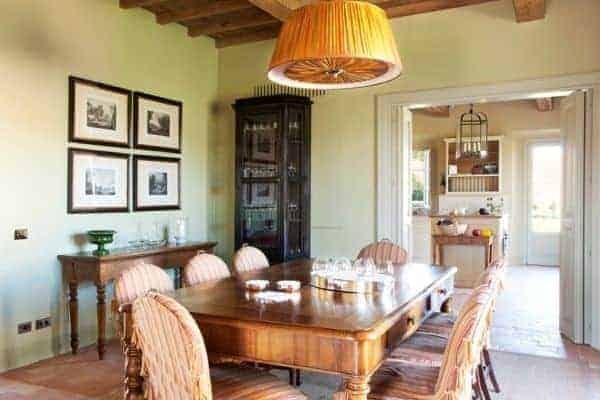 In the lush, green Val d’Orcia – the heart of Tuscany – you will want to experience the authentic Tuscan charm of this luxury villa. 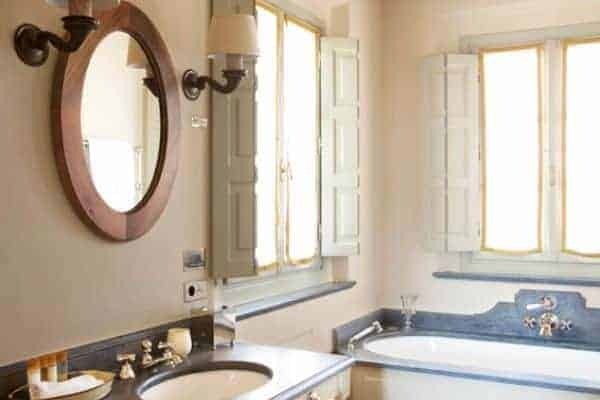 It is one of 9 villas, restored and refurbished to offer you the utmost in luxurious comfort and amenities. 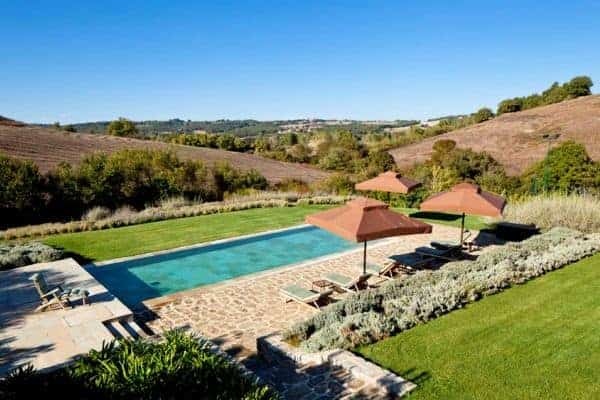 Set on a country estate, with every villa discretely hidden and removed from the other, it is nestled within a landscape of rustic olive groves, manicured fruit orchards and sprawling Sangiovese vineyards. 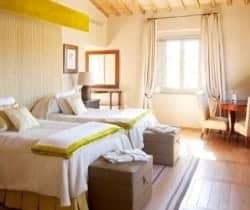 Its inviting warmth makes an ideal companion for your stay at one of the most unique places in Italy, that will not only give you gorgeous views of Italian countryside and Tuscan hills, but also the best in state-of-the-art home entertainment and communications. 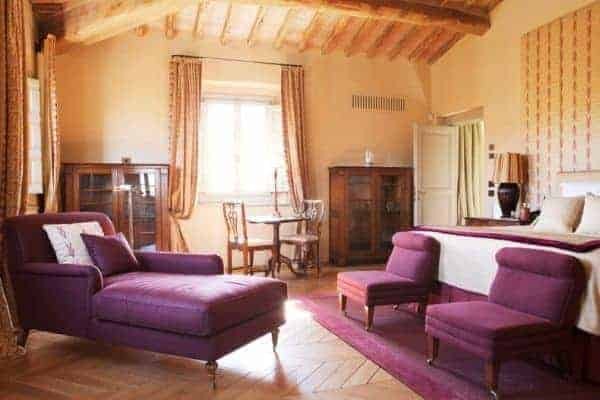 The interior décor has a cosmopolitan appeal and elegant charm: channelling the rich and colourful Tuscan heritage with the combination of well-considered furniture and antiques with local craftsmanship and fabrics of the softest natural fibers. 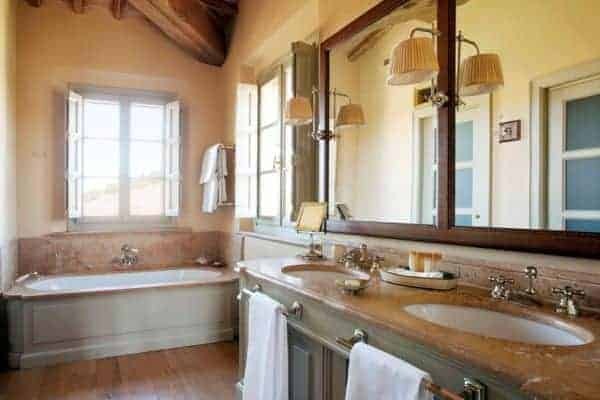 Other lovely luxurious touches include a leather-boxed board games, lawn and heated outdoor pool, pergola-covered barbeque terrace, a well-equipped kitchen crafted by a leading Tuscan designer, and bathrooms containing walk-in showers and water closets. 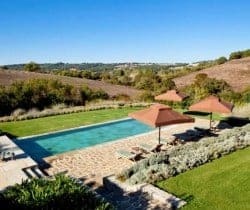 You will also have opportunity to indulge in considerable leisure amenities at hand, which include access to a Techno Gym equipped fitness room with the most amazing view over the valley and hills, hiking and biking on marked trails, access to Kids Club and selected kids activities, use of sauna and steam bath, bocce bowl court. 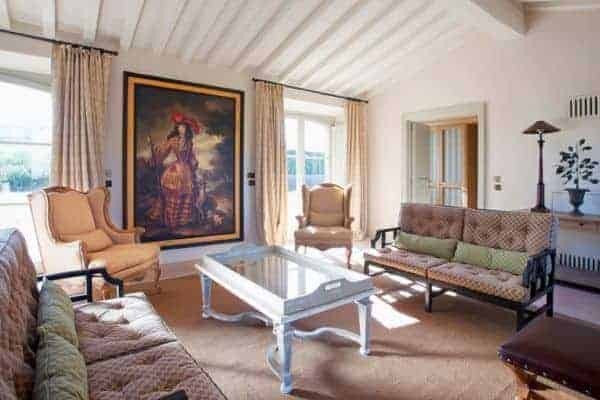 There’s also a Private Golf Club on property, designed by golf legend, Tom Weiskopf, to which guests may have access through arrangement with the concierge. 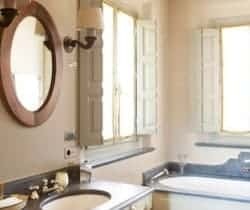 This particular luxury villa comprises a main residence with adjacent guesthouse, and comfortably sleeps 8 people in 4 en suite bedrooms. 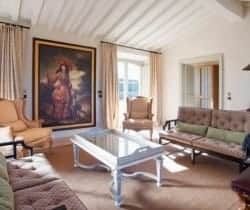 One of these is a twin-room that children will love. 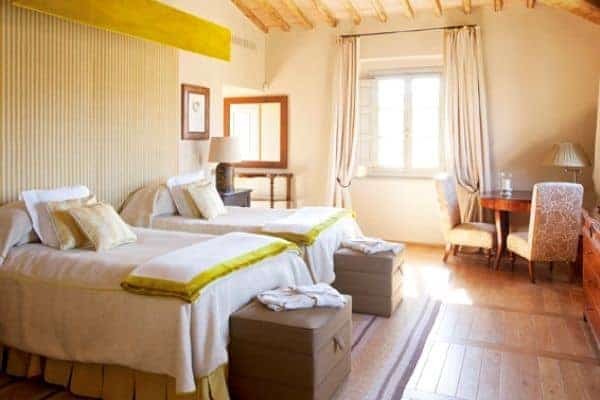 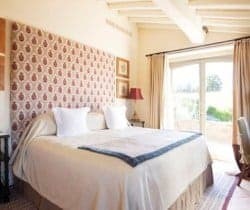 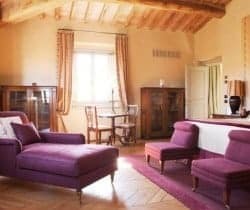 The villa was formerly a farmhouse, now tastefully refurbished so that you can enjoy the charm of a Tuscan “casale”, with its old wood beam ceilings and authentic Tuscan fireplace particularly appealing on cooler autumnal nights. 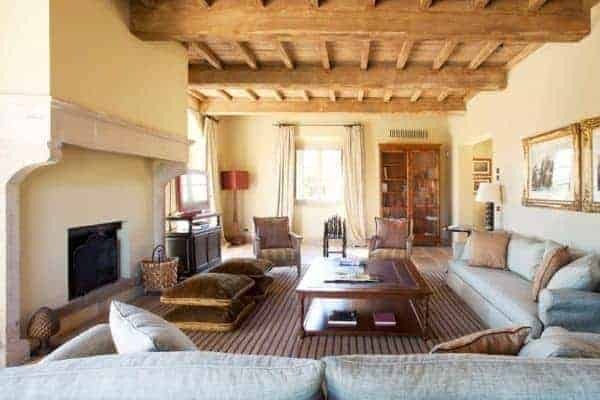 From the spacious and bright living room, framed by four large French windows opening to the terrace, you will adore the lovely open views to the village of Montalcino. 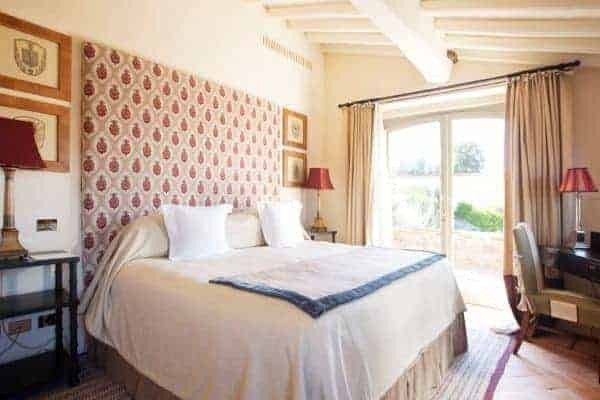 You also have your own, private tennis court and elegant outdoor heated swimming pool, around which you can enjoy relaxing with family and entertaining friends during the day. 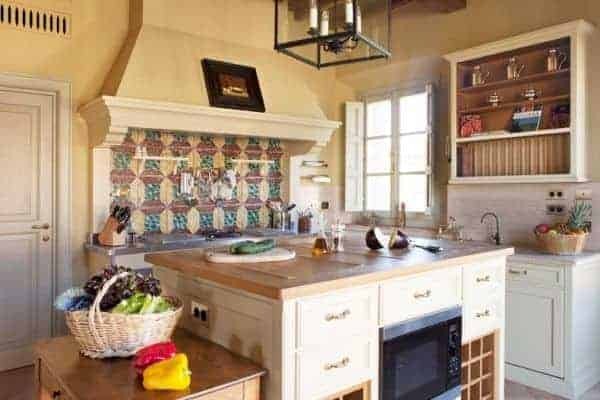 Later, at sunset, you can light up the original outdoor 17th century wood-burning pizza oven for a delicious meal al fresco. 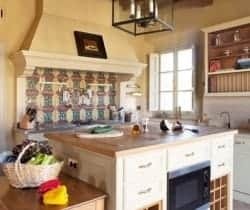 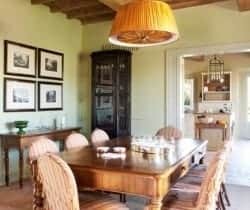 This luxury villa would suit best a family or a group of close friends, wishing to share an unforgettable holiday in one of the most unique places in Tuscany and Italy. 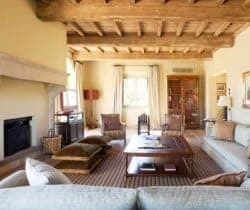 At ‘Il Borgo’, the centre of the estate, you can pamper yourself at the 5-star spa, enjoy cocktails in the panoramic bar, dine out in two acclaimed restaurants, and indulge in some wine tasting at the Winery: the fifth largest producer of Tuscany’s iconic red wine, Brunello di Montalcino.